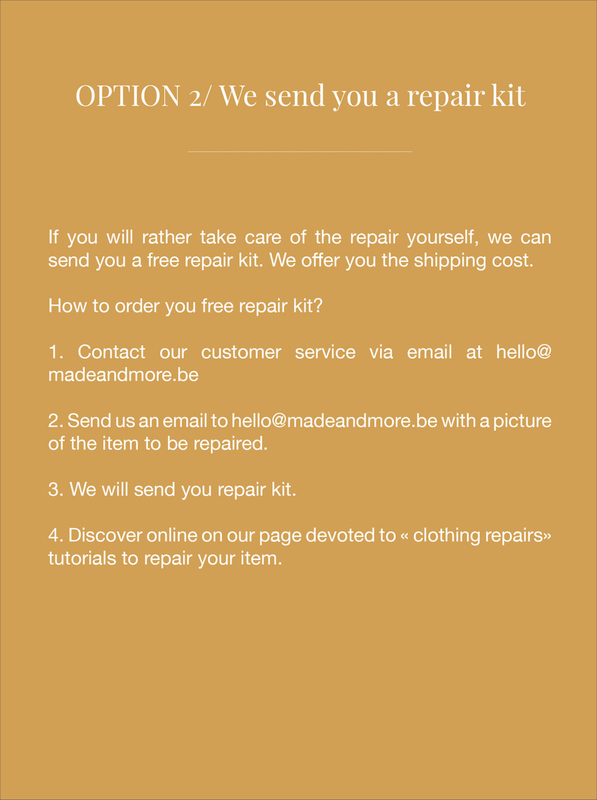 Made & More is committed to offer high-quality and timeless garments that you will keep for a long time. We want to provide the highest possible quality by offering you a lifetime warranty for all the products from our brand « by Made & More ». Our collections « by Made & More » are made with care in our manufacturing workshop in France, in Italy and in Portugal. We place great important on our fabrics and products quality. Therefore, we offer you a lifetime warranty on your purchase. It is also a way to deliver a message : it is better to repaire a product than to throw it away or to leave it unused in a closet. - Returns without warranty form and warranty number will not be accepted. - The item that you send back to us must be cleaned. - The warranty takes into account the buttons. We will send you a new button, only within the limit of available product stock. If we don’t have any button left, we will offer you an alternative solution. - The lifetime warranty by Made & More do not cover stain, holes or fabric deteriorations. We can not cover the fabrics because we are not able to control the washing conditions. We strongly advice you to read our article on tips and advices to keep your clothes longer. When we receive your item back, our quality department inspect your item. 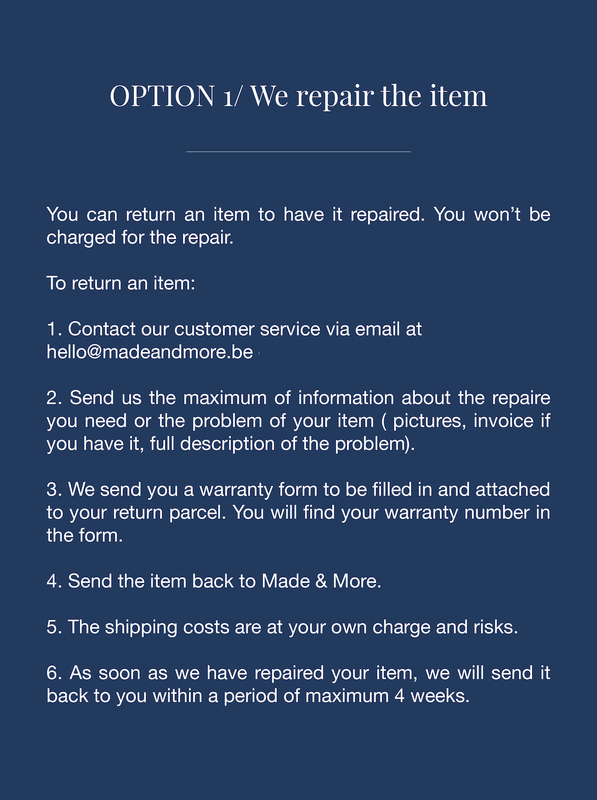 If we can not repair the item, you’ll be notified. Therefore, we will offer you an exchange of your item if it is still available, or if you wish after all to keep your item, we will send it back to you.